We learn about the stories, accomplishments, and challenges of African Americans in the Olympics from nine-time gold medalist Carl Lewis and Dr. Billy Hawkins from the University of Houston’s Department of Health and Human Performance. 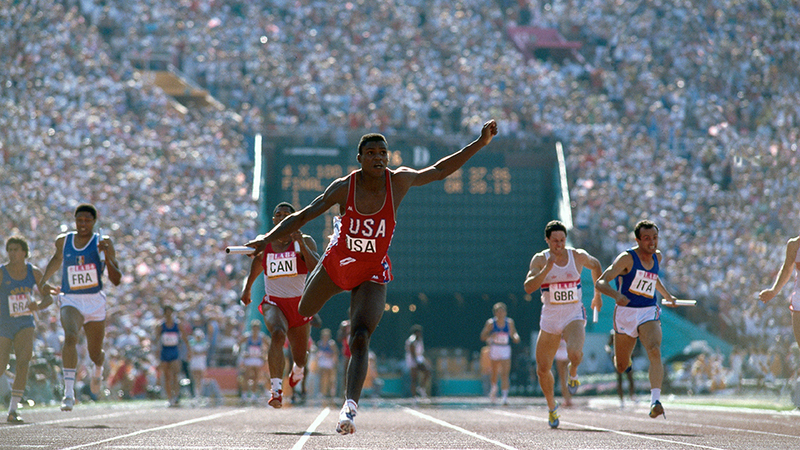 Carl Lewis at the 1984 Olympics, during which he won four gold medals. 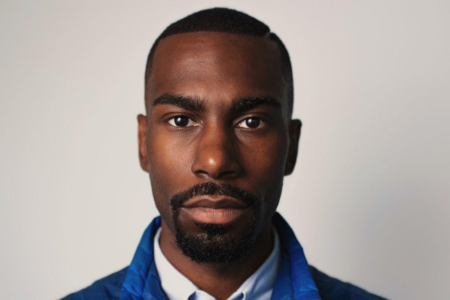 The Olympic games — including the 2018 Winter Olympics currently underway in PyeongChang, South Korea — have always existed against the background of all kinds of societal change and turmoil — from the buildup to World War II in the 1930s, to the Civil Rights movement of the ’50s and ’60s, to the Black Lives Matter movement of today. 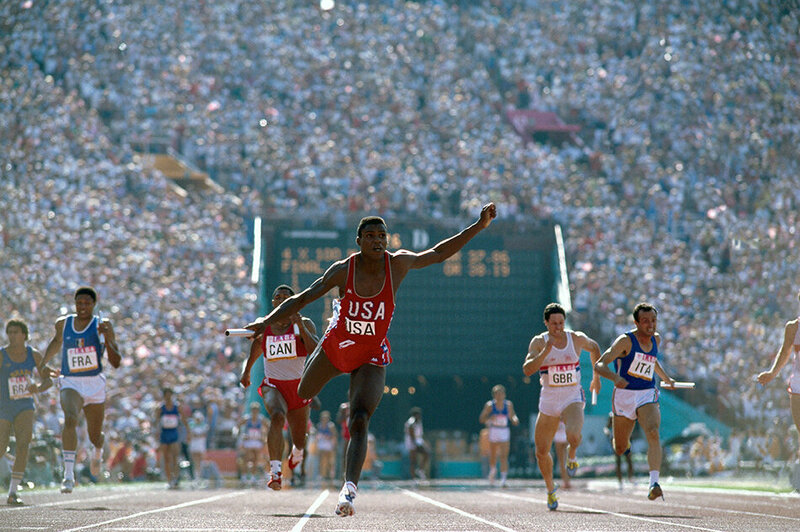 And that turmoil and change often overlapped into the games, from Jesse Owens winning gold in front of Adolf Hitler at the 1936 games in Berlin, to the Black Power salute from the Olympic podium in 1968. 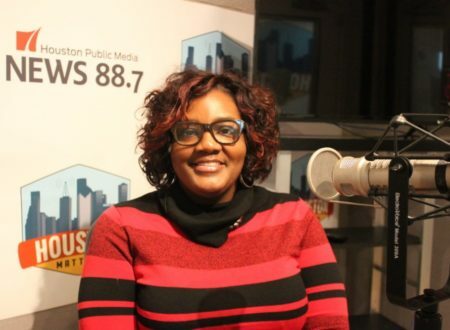 To discuss the history of black athletes at the Olympics, Houston Matters host Craig Cohen talks with nine-time Olympic gold medalist Carl Lewis, and Dr. Billy Hawkins, a professor at the University of Houston’s Department of Health and Human Performance. 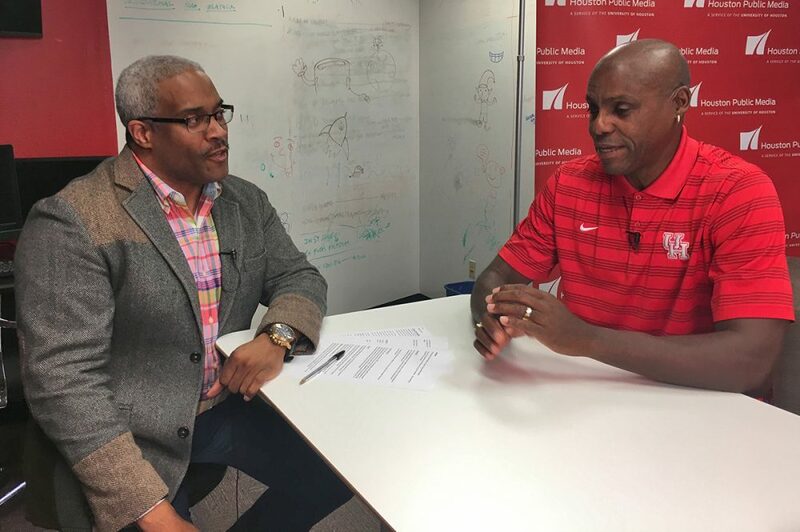 Houston Public Media’s Eddie Robinson talks with nine-time Olympic gold medalist Carl Lewis. MORE: Houston Public Media’s Eddie Robinson talks with nine-time Olympic gold medalist Carl Lewis.